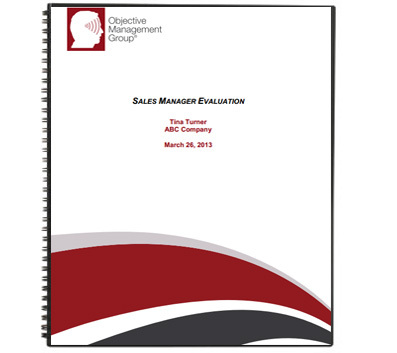 Read this Sample Sales Manager Evaluation to Understand the Critical Factors for Success! Our evaluations are based on the same format and model as this example from the Objective Management Group. Braveheart Sales Performance is proud to have Platinum-level partner status with the Objective Management Group (OMG). OMG is a nationally-recognized pioneer and industry leader in sales force evaluations and sales candidate screenings, having won the Gold Medal for Top Sales Assessment Tool for four consecutive years (among other honors).